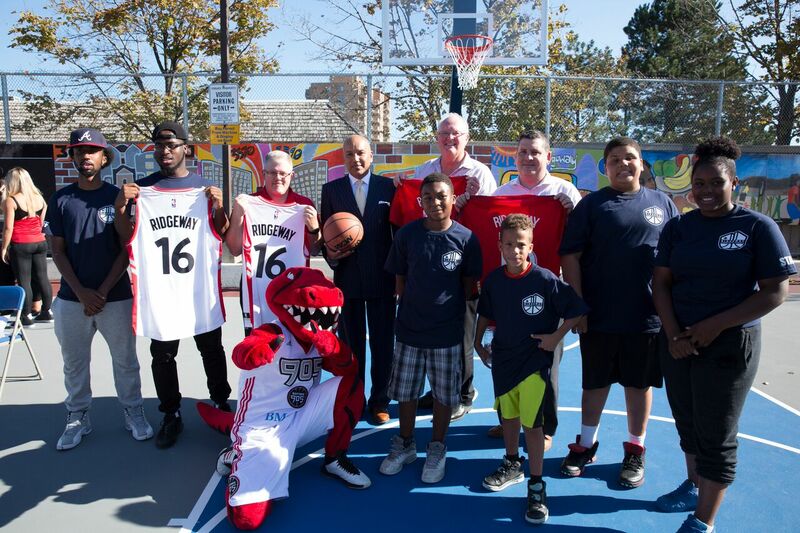 Catalyzed by a talented group of local youth, the Ridgeway Community Courts transformed an under-utilized parking lot and sidewalk boulevard into a vibrant multi-sport court and community space for drop-in recreational programming. 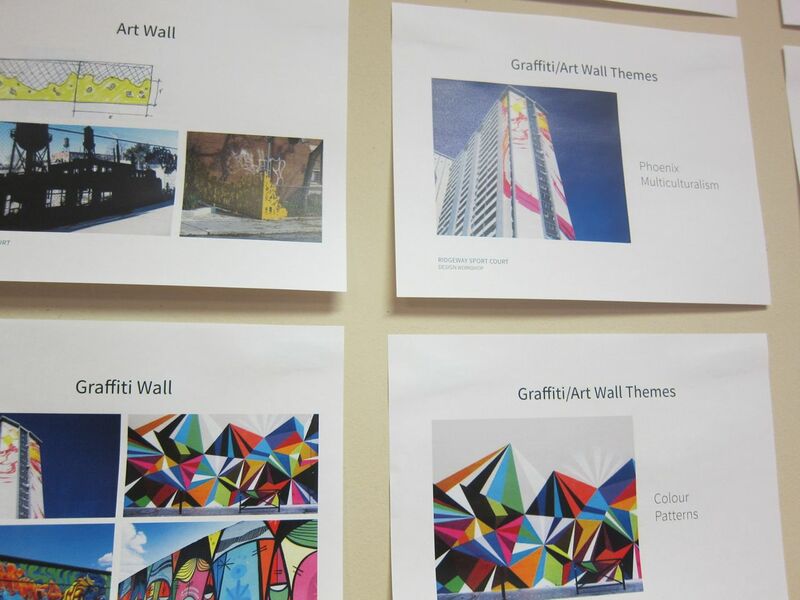 ERA led the collaborative design process, which worked closely with the community to bring this much-needed resource to the Ridgeway neighbourhood of northwest Mississauga. The youth-led management of court operations has also created an opportunity for local skills-building and leadership development. 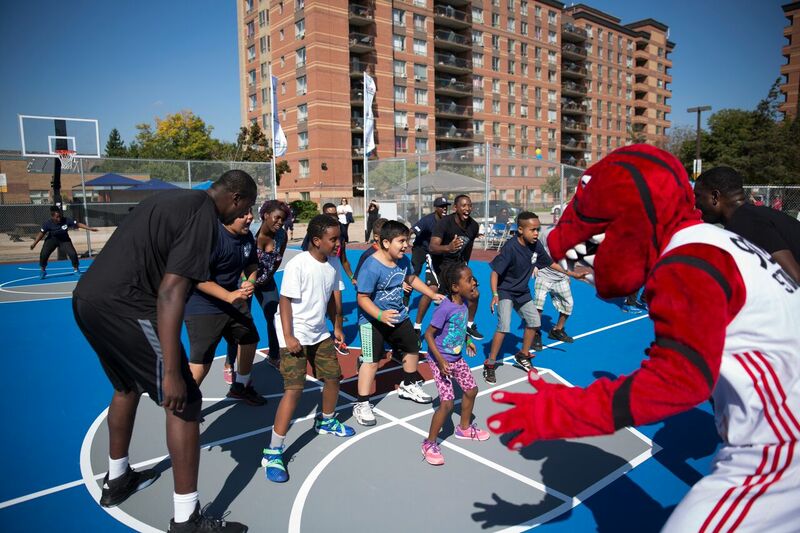 Although primarily designed for sports, the court was also conceived to encourage larger community events with components such as landscape-integrated spectator seating; enhanced landscape and planting; and two youth-designed murals that showcase the community’s unique identity, and create a gateway into the court. 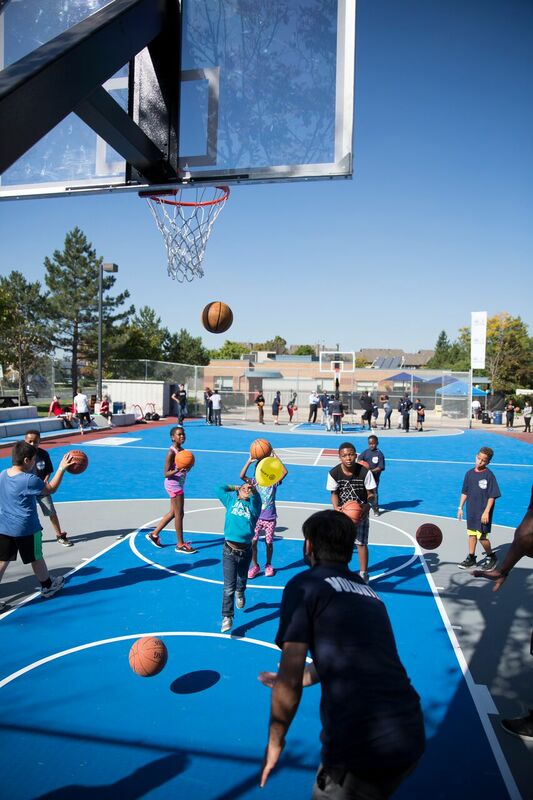 ERA was the project Landscape Architect and the lead design consultant overseeing the design and construction of the new multi-sport court and outdoor community space. 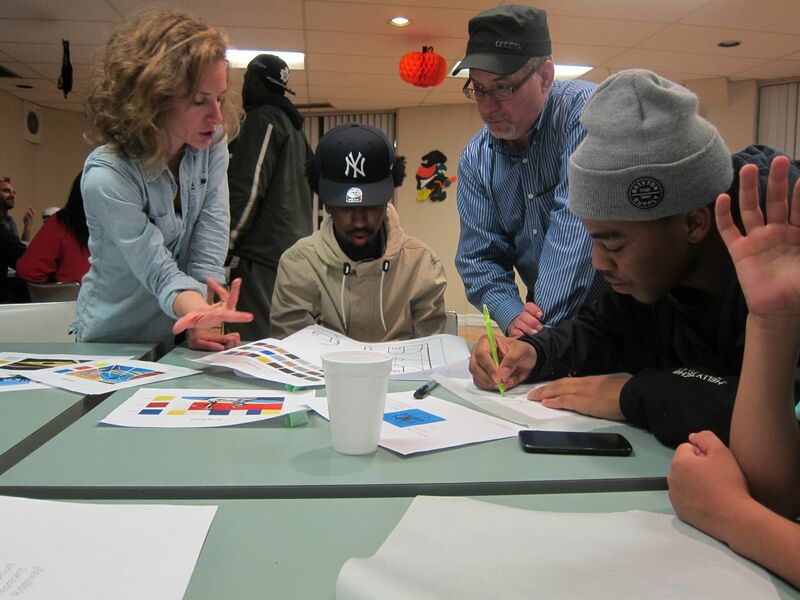 Together with the major project partners, MLSE Foundation, Erin Mills Youth Centre and the City of Mississauga, ERA led a series of workshops with community youth to develop the identity and vision for the proposed multi-sport court, which in turn guided the design development process. ERA’s scope of services continued through to the provision of Construction Documents, and in partnership with the City of Mississauga’s Park Development, overseeing construction contract progress, quality and conformance to the vision of the community and approved plans. Thanks to the group of youth leaders, who pursued funding through the Maple Leaf Sports and Entertainment Foundation (MLSE) and the Rotary Club, a unique partnership was created, with the project driven by ground-up advocacy. 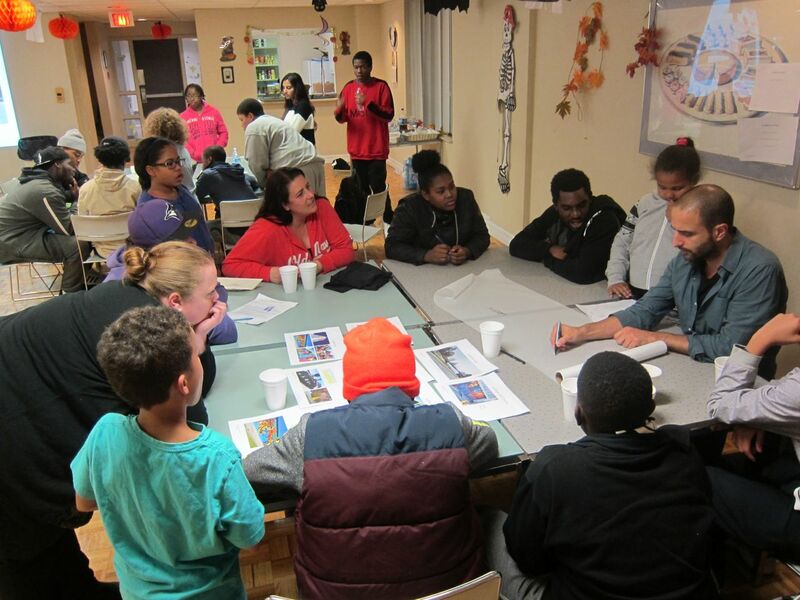 Working closely with Ridgeway youth and a number of local stakeholders, the result was a public space that is truly reflective of the community’s vision.